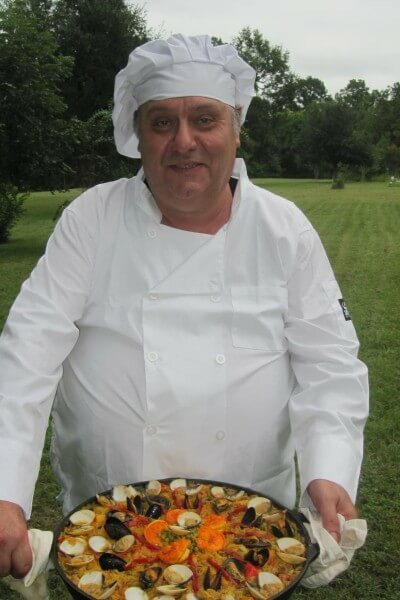 Our Co Founder, Jose Cavaliere, has over 25 years of experience preparing Paellas both in domestic as well as commercial settings. This is his passion and nothing pleases him more than the smiles that his Paellas bring to his guests. “Life is too short to eat badly,” he says. We have catered events as small as 6 guests and as large as a 380 guest corporate Christmas party. We are equaly comfortable in small or large settings and we do our very best every time. Please peruse through our Photos at Recent Events pages and the smiles on the guests faces alone are worth 1,000 words about the flavor and quality of our food. We would be extremely pleased to provide you with a quote to cater your event of any size. Please contact us today! Because we will give you and your guests our very best. Because we have everything that you need. And, because, we will provide you with an amazing culinary experience using the very best ingredients available, combined with impecable service. Our mission is to make every client completely satisfied, by providing an unforgettable event experience to his guests.